Traditional wisdom for the 40 days between the Resurrection and the Ascension of Christ advises, “Keep your eyes open. You just might run into the Risen Christ!” As the disciples discovered on their way to Emmaus (Luke 24:13-27), such revelatory moments leave our hearts warmed and our spirits engaged. 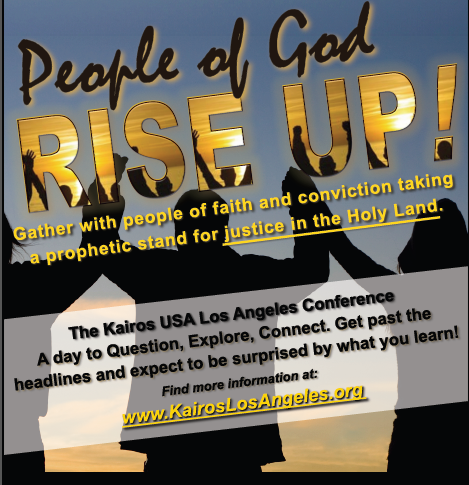 So it was at our Kairos USA Los Angeles Conference. 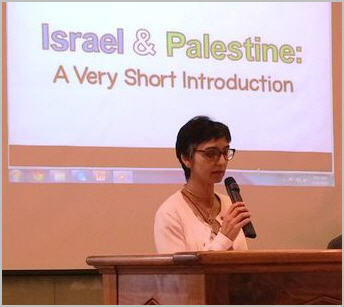 Held April 18 at Holy Family St. Joseph Center in Pasadena, this post-Easter gathering of people of faith and conviction left us inspired and confident that, with Christ moving in our midst, the time for justice for Palestinians is at hand. Lana Norton chaired the Los Angeles Conference. 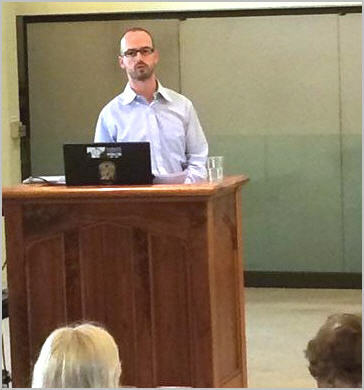 Jeff Wright was one of the lead presenters at the LA conference. 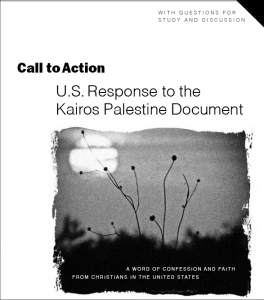 Jeff Wright joined me in leading our study of the Kairos USA response to Kairos Palestine document. Jeff is an ordained pastor with the Christian Church (Disciples of Christ) and he and his wife Janet have led alternative tours to Palestine and Israel for 15 years. 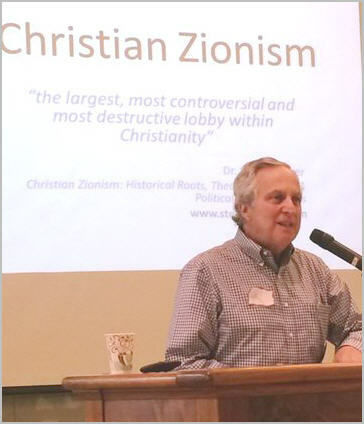 Our event workshops covered a number of action options in response to the call of Kairos Palestine, including political advocacy, BDS initiatives, alternative travel to Palestine, local church and denominationally-based efforts, and educational outreach. We also had an opportunity to examine the increasingly sophisticated understanding of diverse Jewish voices on the issues we face as activists. We were blessed to have an outstanding set of workshop leaders and panel participants on hand for the event. Included were Estee Chandler with Jewish Voice for Peace, Los Angeles; Mike Coogan with US Campaign to End the Israeli Occupation; Taher Herzallah and Garrick Ruiz with American Muslims for Palestine; Theresa Basile with United Methodist Kairos Response; Sister Marcia Sims with Sisters of Social Service; and Rt. Rev. Alexei Smith with the Archdiocese of Los Angeles. You can learn more about the speakers and presenters here. The day ended with deep liturgical sharing (Bitter Coffee and Sweet Tea), bringing us into solidarity with Palestinian grief even as we savored the bottomless generosity of Palestinian hospitality. Mike Coogan with the US Campaign to End the Israeli Occupation talked about political advocacy strategies. Broad-based denominational and community support, along with exceptional leaders and volunteers, merged to create our April 18 event and I’m excited to see the outcomes in the months ahead. The vision calls for ongoing connection among Palestine advocacy groups throughout the LA area, pulling in new participation and sharpening mutual efforts for the sake of justice. The Los Angeles effort continues to be interfaith. Please contact me, Diane Dulin (ddulin@kairosusa.org), if you are interested in becoming involved in the LA area advocacy work. I’ll connect you with local leaders. Meanwhile, let’s remember it is still Eastertide. According to tradition, the Risen Christ is still out and about, so keep your eyes open. Attend to strangers who may walk with you for a time; listen to visions for new possibilities in the work of justice; reach out to friends and mission partners in Palestine throughout the Kairos Community. In this way, provide solidarity and friendship. In this way, encounter or reveal the Risen Christ in our midst.